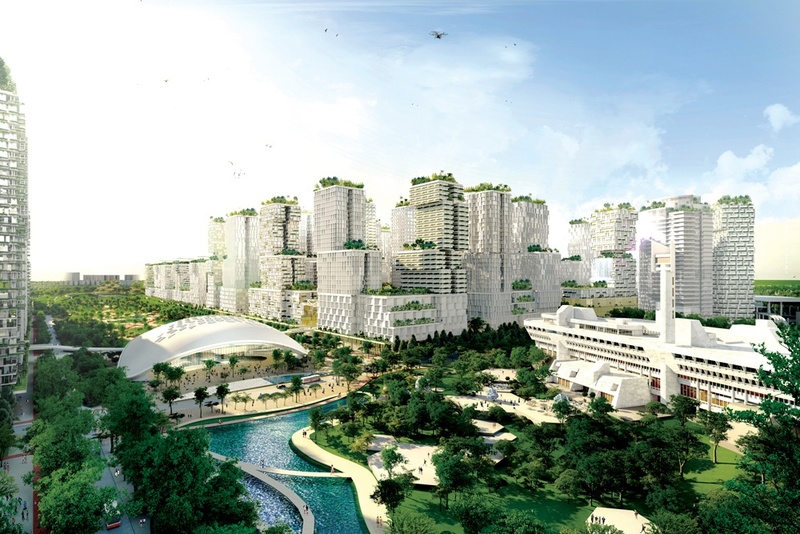 Jurong Lake District is a regional centre in west Singapore, planned as part of URA’s decentralisation efforts to create a 2nd CBD with commercial activities, amenities and recreational facilities outside the Central Area of Singapore. 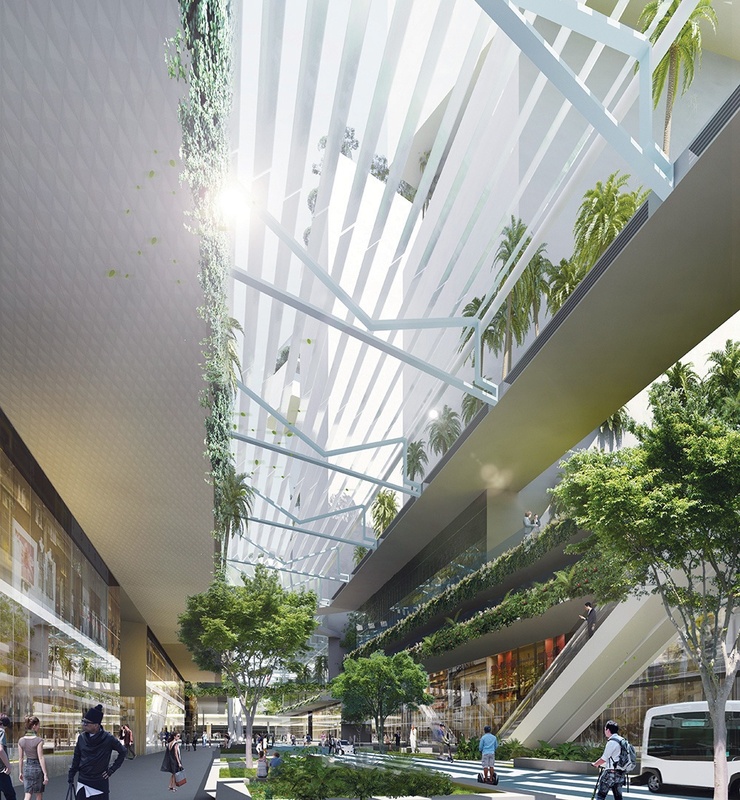 The new mixed-use precinct, Lakeside Gateway, is set within the Jurong Lake District and will function as a new international gateway into Singapore with the future High Speed Rail to Kuala-Lumpur, Malaysia. The team developed a high-density mixed-use concept masterplan for the area around the future high-speed rail terminus in Singapore. 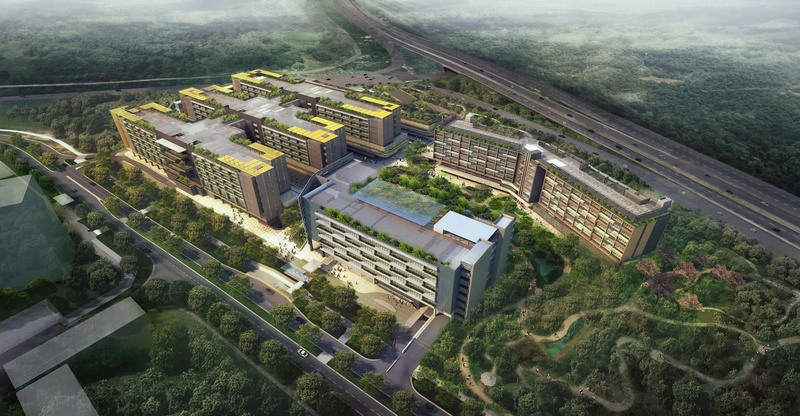 The ambition is to develop the area into a new mixed-use business precinct and home to the future HSR terminus, which will further anchor Jurong Lake District as ‘a district of the future’ and as Singapore’s second Central Business District. 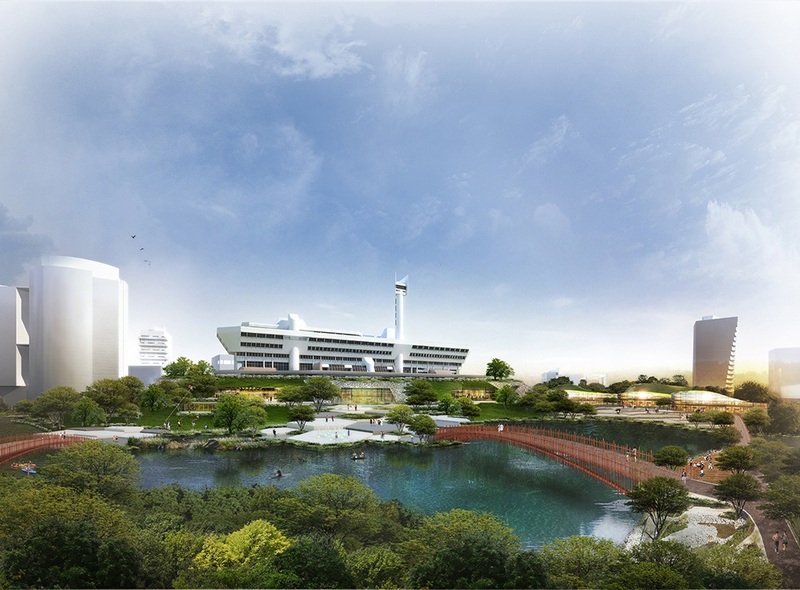 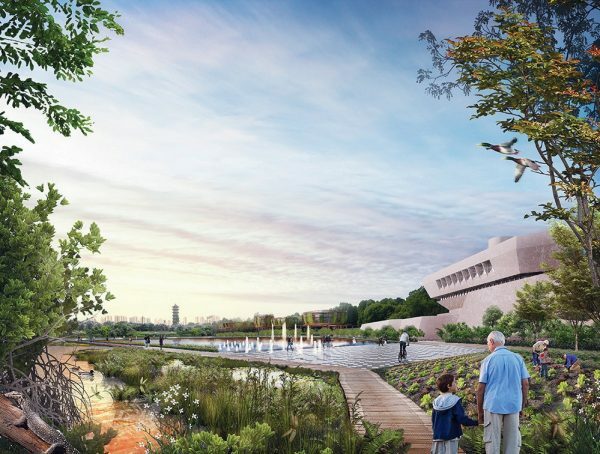 A key focus of the winning conceptual plan submitted by KCAP/ SAA and team involved the integration of new waterways and a series of green spaces within Jurong Lake District whilst manifesting a strong, distinctive identity. 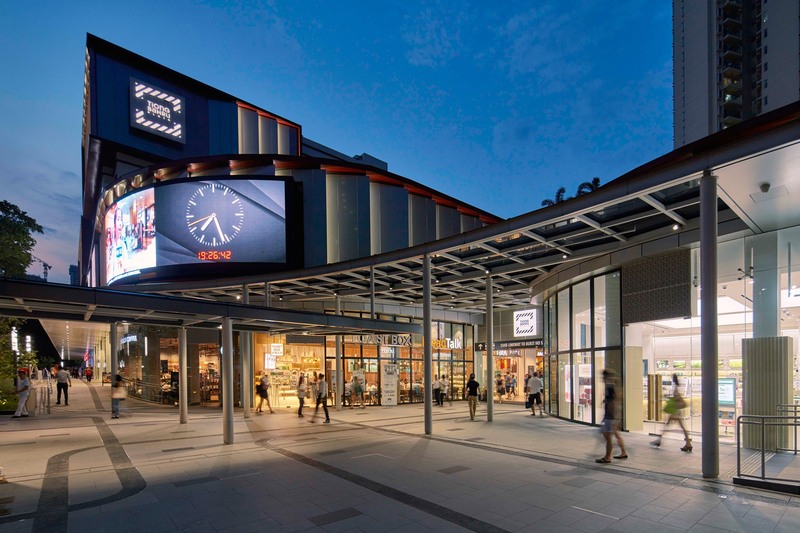 An evaluation panel comprising senior representatives and practitioners from government agencies, academia and industry selected KCAP/ SAA and team out of five international shortlisted teams as the winning consultant. Following this, the team worked with URA and relevant agencies to draw up a detailed masterplan proposal for the district.An exhibition of the proposal took place in mid-2017 to gather public feedback. 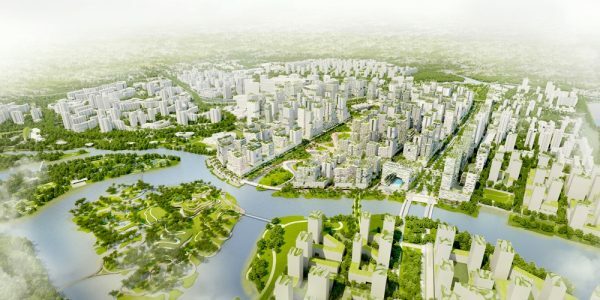 There after the team will work with URA to refine the plans.